HAPPY BOOK BIRTHDAY TO ME!!!! The first Tuesday of the month is usually also my day to post on The Waterworld Mermaids, but my Sparkle Twin Kerri Carpenter stole my day so that she could ask me some of the best interview questions ever! I make moussaka, take Kerri‘s dog to Hawaii, confess my favorite word, and cast all of the Waterworld Mermaids in the Woodcutter series. Click here to check it out! 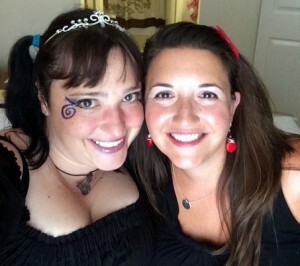 Alethea & Kerri — Mermaid Sparkle Twins! 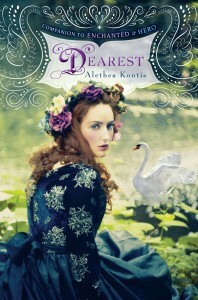 I also have an equally fabulous interview with the equally fabulous Miss Print today! This entry was written by Princess Alethea and posted on February 3, 2015 at 8:47 am and filed under Dearest, mermaids. Bookmark the permalink. Follow any comments here with the RSS feed for this post.